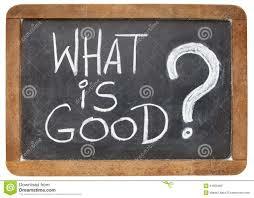 Have you ever categorized your works as “good vs not good”? I’m not even talking about sinful but just, not good. How about choices you make, good or not so good? In Genesis chapter one, God spends six days and at the end of each day He said “it was good”. I have been sensitive to the things I’m a part of or the activities I allow myself to engage in at times. The problem is, it’s not always good, not sinful, but just not the best. The verse that got me started with this thought is found in Psalm 133, it says “Behold, how good and how pleasant it is for brethren to dwell together in unity!” Funny thing is I think it was the exclamation point at the end of the verse that got my attention. Sometimes I judge peoples actions by the “good things” they do or the generosity they show. When was the last time you considered simply dwelling together in unity as a good thing? The other morning I was walking thru the dining room at Keswick during breakfast and thought to myself as I witnessed everyone smiling and enjoying the fellowship, now this is good. I thought back to the prayer that my buddy Ed Weiss prayed at the beginning of the meal, he said, Lord, may our conversations be edifying to one another and glorifying to You. I think that dwelling in unity means being of the same mind and if we edify our fellowship I believe we are doing a “good” thing. So the pattern is,” Draw near to God, Put my trust in Him and then Declare His works”. Again I’m drawn back to the verse in Hebrews 12 “let us lay aside every weight”, or put off the not so good and strive for the best. 1st Corinthians 12 ends with Paul gearing up for the “Love” chapter by saying “But earnestly desire the best gifts. And yet I show you a more excellent way”. Is Morality the Same As Being Holy?